By Philippe Donnet, Défi Technique. The JewelBox Villa is located in the Geneva Lake region of Switzerland. 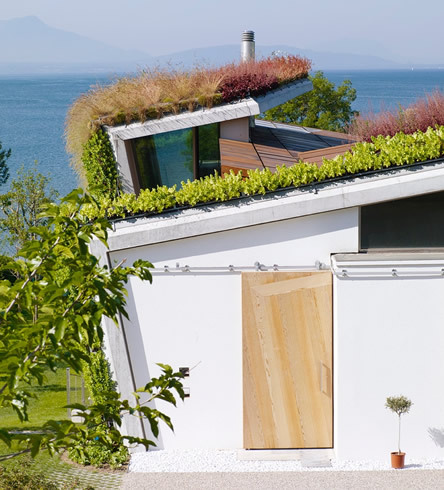 The homeowner, who was also the main concept architect for the project, wanted to create the most eco-friendly and technologically-advanced house in Switzerland, but without having everything on show. 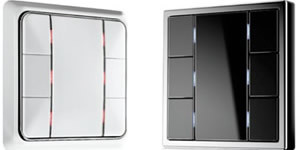 The JewelBox was designed to use active and passive energy creation, storage and management. There are solar panels in the west façade which are orientated towards the warm afternoon sun, while panels on the roof capture energy all day long. The facade panels also function as solar blinds to keep the secondary facade clear of any significant solar radiation. The property also boasts green walls and a garden that are fed water from a 50m3 reservoir. This has been built between the pool and the house and is filled by drainage water and recycled grey water. It also provides cooling water for heat-sensitive areas in the house. • Hand-held user interfaces were to be positioned intelligently, allowing seamless control of as many installed sub-systems as possible. • Audio and video devices were to be appropriately sized and positioned for the space provided. • The technology installed was to be sympathetic to the aesthetic of the space, have a harmonious look and feel to the switches, and, where appropriate, motorisation was to be used to conceal any technology when not in use. • The system had to be designed to take future expansion and new technologies into account. 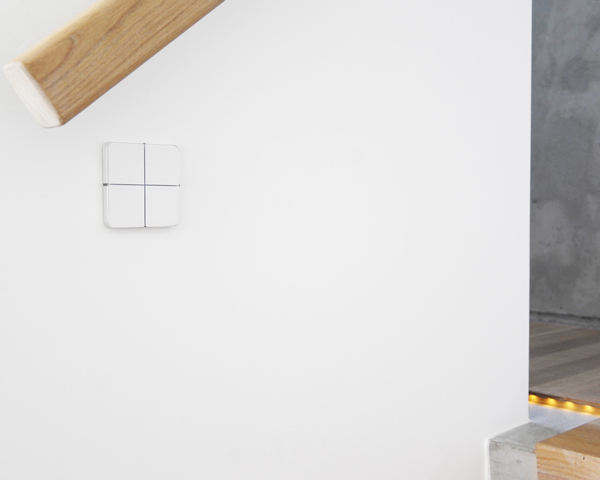 The installation was to support Wi-Fi roaming quality, but with no visible Wi-Fi access points. Neither should there be any cameras visible. There was to be fault monitoring designed in, full keyless (RFID) access, and a secure IT network with full control from abroad. There was also to be humidity, temperature and door control of the wine cellar! The technology used was either to be completey hidden when not in use, or fit with the aesthetic of the room. Our team provided a multitude of solutions using Crestron and Gira touchscreens that integrate KNX electrical devices, HVAC, CCTV, AV and even a fireplace. 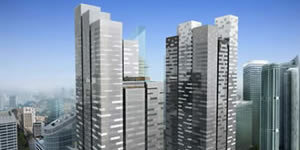 All of these systems are linked via a bus system that is at the heart of the building and feeds into all domains. For example the irrigation system is driven by the Gira HomeServer coupled with a rain meter and humidity sensors in the substrate. It is be able to accurately water the walls and roof when water is really needed, and this can all be set via the Gira portable interface either by the client or his designated gardener. The spectacular media room has been fitted with a projector screen and projector situated in a robust Weibel motorised lift, and a Bose 525 system for 5.1 surround sound system controlled by Crestron. Audio in this room is controlled by a Crestron app over an iPad mini, and light scenes are automatically adjusted according to the selected mode. Available sources include Blu-ray, Apple TV, CATV and Sky over IP. Everything has been tailored so that everyone who interacts with the house has a the right parameters fed to them. However, there are no big screens on the walls or even command screens – everything is hidden or placed discreetly. If there is a screen, it has been reduced to the minimal functionality for that specific place. Neither are there any visible TVs, only retractable projectors and screens for which the window blinds have been synchronised to block out excess light if needed. 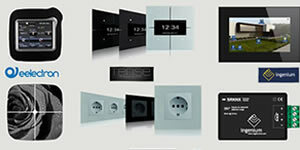 Basalte Sentido and Enzo switches and Basalte Deseo room controllers provide a user-friendly and sensitive interface. The switches support multiple functions from the same switch plate, such as opening of electric windows and setting up themes for lighting. One of the Basalte Enzo switches. The multiroom audio system is based on Basalte B&O OEM icepower amplifiers controlled over KNX with iDevices and touchpanels, while cobraNet is the IP protocol used to carry the audio signal all over the building, giving maximum routing flexibility. There are more than 200 lighting circuits, most of which are controlled via DALI. Binary inputs and outputs are used to seamlessly interface the lawn and green wall watering system, alarm, pool jets, blinds and solar slats, and there are analogue inputs to get data from high-grade hygrometry, temperature, wind, humidity and luminosity sensors. The green walls are automatically watered according to need. RS232 interfaces are used for RFID modules that are integrated into designated cars to automatically control gates and garages, and the system also includes RFID door access, with every command and status available on mobile devices. IP over fibre optic cable has been used for long distance runs to invisible waterproof CCTV that is viewable in and away from the property. It was important for the client that the house could be followed and managed through his portable devices and still be secure, so there was a lot of detailed work on how to keep the systems secure from intruders, such as automatic deactivation of any outside Wi-Fi spots when the alarm is turned on, in order to limit the possibility of Wi-Fi intrusion. In turn, each person who interacts with the house can be managed on an hourly basis or cut completely by the owner, with a simple press of a button. A new account can be introduced almost as easily. Because some consumer devices such as set-top-boxes sometimes require a reboot, a cycle procedure was designed to help our system supervisors to fix a problem within a minute, remotely. A monitoring service also actively checks every device in order to detect and fix any issue before the owner notices. This project drew on our many years of experience in electrical domotics, IT and audiovisual technology. The key to its success is having one company deal with all of the technologies involved, although this does increase the pressure to get everything right. 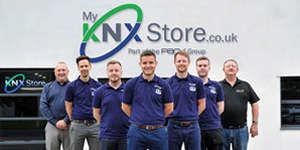 Using the KNX bus system helped us manage the complex requirements of this project well. 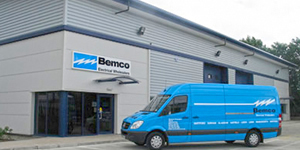 The client was impressed with our ability to create logical and easy-to-use interfaces via existing software, and also with our commissioning process and after-sales service. There has also been positive feedback from the power company. In fact the property has been certified Minergi ECO – the highest standard for a sustainable building in Switzerland and the Swiss equivalent of the U.K. LEED rating system. 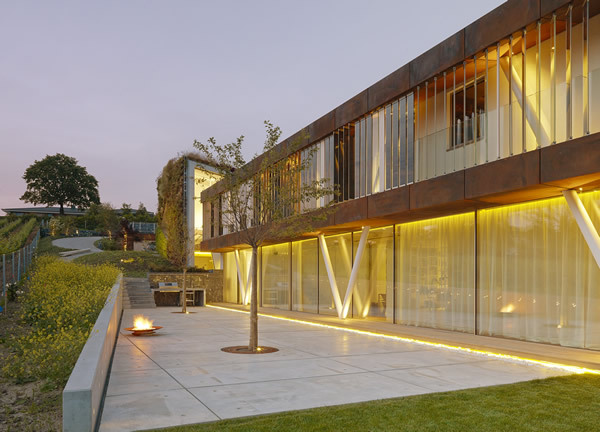 And to top it all, Défi Technique won two awards at the recent prestigious CEDIA Awards held in London, namely ‘Best Integrated Home for a project worth over GBP250,000 (CHF365,000)’ and ‘Best Energy Management Solution’. Philippe Donnet is the Managing Director and owner of Défi Technique SA, systems designers and integrators based in Crissier, Switzerland.